The kantele complements the Native American flute wonderfully. These are delightful instruments and easy to learn to play. They may take some time like the ukulele and Native American style flute to learn to play well. The kanteles I primarily make are 5-string versions. In 2018, I released a 6-string version but find that the 5-string is often preferred. The 5-string sopranino kanteles are available in my Etsy store. The sopranino (also called piccolo) kantele is a small instrument that plays the highest tones with its strings. I love this because it is so portable and tiny. You hold it in one hand and fingerpick with the other. I suppose you could also strum this instrument, if you have small hands, but I prefer the harp-like sound achieved with fingerpicking. I’ve created a 35-page book for the kantele. The book includes directions on how to tune and play the kantele. The book also includes fingerings for several songs. 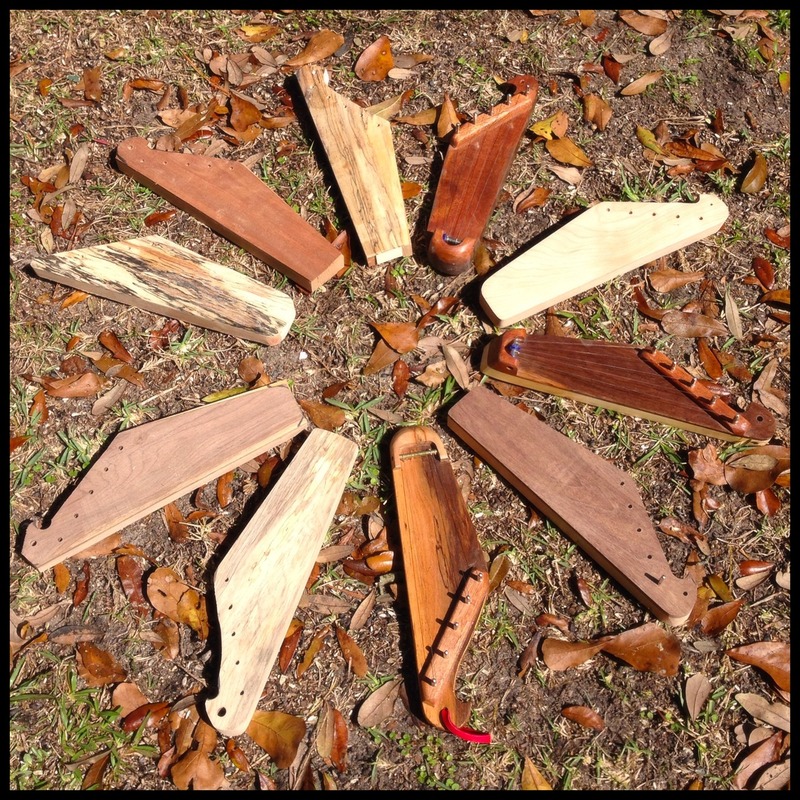 I developed the kantele book based on requests from people who purchased my kanteles and said they’d love to have a music book. I sell kanteles online on my Etsy store. And you can read numerous blog posts about the inspiration for my styling or playing of various kanteles: Raven inspiration, and more. Two sizes of kanteles: sopranino and 5-string. The larger 5-string kanteles are typically made with with woodburned soundboards (as illustrated by the goldfinch kantele). With a pitch an octave lower than the sopranino, it’s very relaxing to play. If you want to hear a Native American flute with the kanteles, check out the blog post on playing WrenSong kanteles with WrenSong flutes. You can hear two kanteles — a 5-string kantele and a sopranino kantele — in the clip below. More photos can be found on my pinterest page for kanteles.